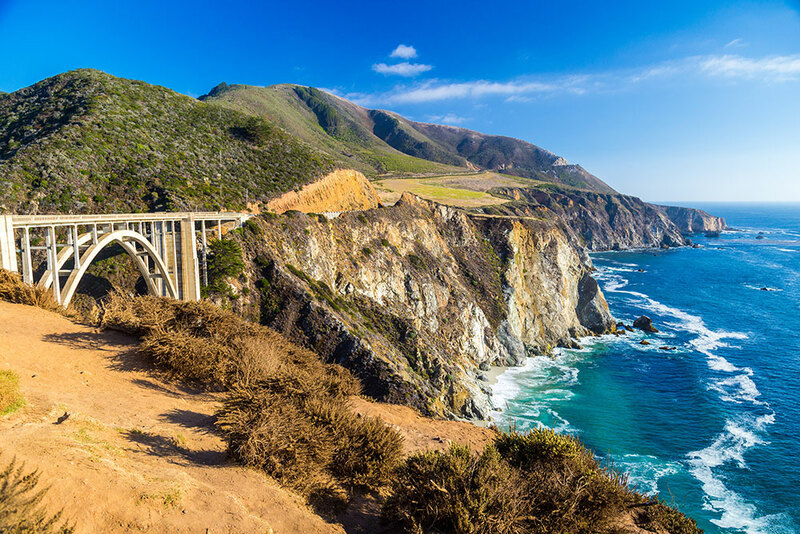 Home to Hollywood, the iconic Golden Gate Bridge and the unrivalled road trip beauty of the Big Sur coastline, visitors to California are spoilt for choice. In fact, even knowing where to begin in the Golden State can be tricky – after all, it stretches from Mexico to Oregon for nearly 900 miles. Don’t worry though: we’ve narrowed down the list of things to do in California to make planning your California holiday easier. There’s an ethereal beauty about Yosemite. Located 170 miles inland from San Francisco, the USA’s fourth-oldest National Park (designated in 1890) is best known for its epic waterfalls, towering granite cliffs, deep valleys, huge wilderness areas and, most importantly, a staggering 750 miles of hiking trails. 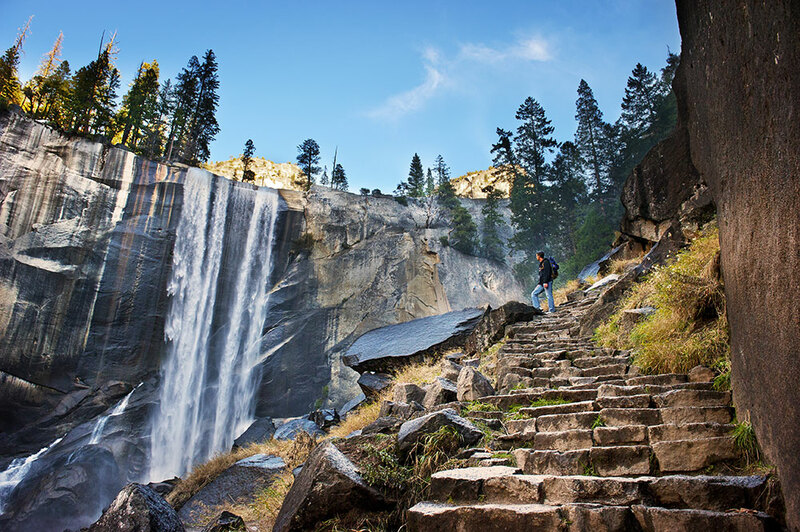 How to do it: Beginners can opt for gentler walks like the half-mile hike to the base of Bridalveil Falls and the flat Yosemite Valley half-loop (7.2 miles). Those who are extremely fit and are looking for a bigger challenge should get a permit to try the Half Dome Trail, a strenuous 16.4-mile round trip with rewarding views. If you’d prefer a more sedentary experience, consider taking a guided Valley Floor tour. To see the best of Yosemite, consider our National Parks & Canyon itinerary, where you’ll spend two days in the park. Running along Hollywood Boulevard for over a mile, the Walk of Fame is one of California’s biggest tourist attractions. Visitors flock here to compare hand sizes with a plethora of stars, from Elizabeth Taylor to Donald Trump to Britney Spears. 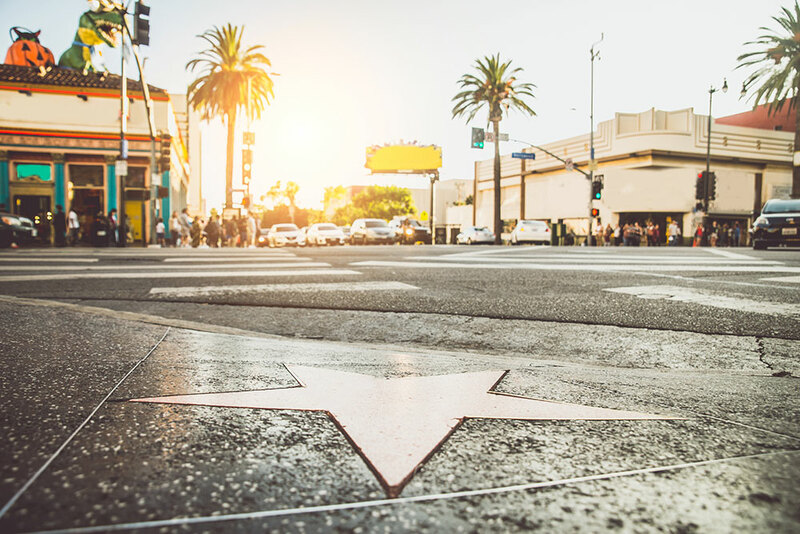 How to do it: Get star-struck on the Walk of Fame on our Coastal California itinerary, where you’ll spend two days in Los Angeles. 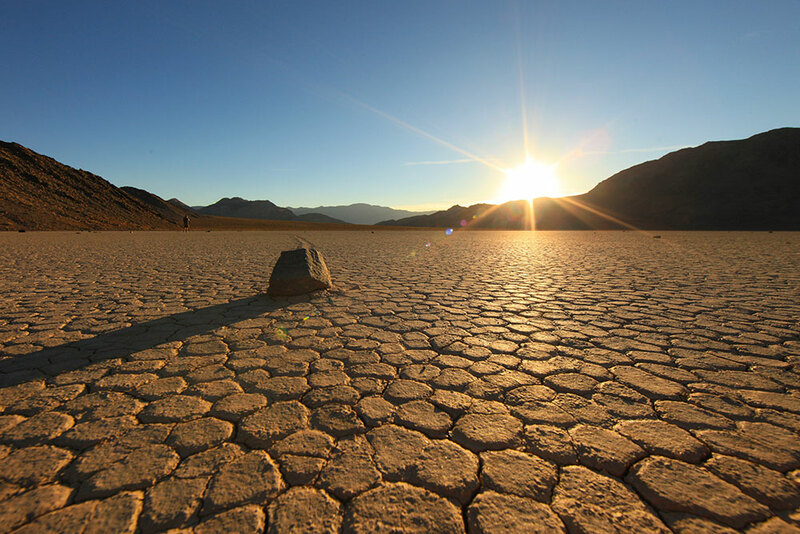 Straddling the states of California and Nevada, Death Valley isn’t exactly the horrifying place that its foreboding name suggests. Sure it’s dry, incredibly hot and harsh, but it’s also an incredibly beautiful geological wonder full of some of the most unique spots in either state. See the confounding trails of immovable rocks at The Racetrack, stand at the lowest point in North America in Badwater Basin and gaze across miles of parched landscape at Dante’s View. How to do it: The best way to experience Death Valley is by car – preferably an air-conditioned one. That way you can stop for scenic highlights, museums, tourist exhibits and even a hotel stay, whenever you want to. If you want car hire and accommodation already sorted for you, opt for our California & Canyons itinerary. If ever there were a spot to depict the beauty and sheer grandeur of the Pacific-hugging Big Sur in one fell swoop, Bixby Creek Bridge would be it. Located 13 miles south of Carmel along Highway 1, this concrete 218-metre-long arched structure was built using 45,000 sacks of cement in 1932 and, today, is one of the most photographed bridges in the world – not to mention one of the most road-trip-worthy spots on the planet. How to do it: Get the best views of the bridge before you reach it – there are numerous lookout points along Highway 1 from which you can admire the unique structure against a backdrop of sea, cliffs and undulating emerald hills. See San Francisco, Monterey, San Simeon, Santa Barbara and LA, all while driving the Big Sur coastline, on our Luxury Pacific Coast Highway itinerary. 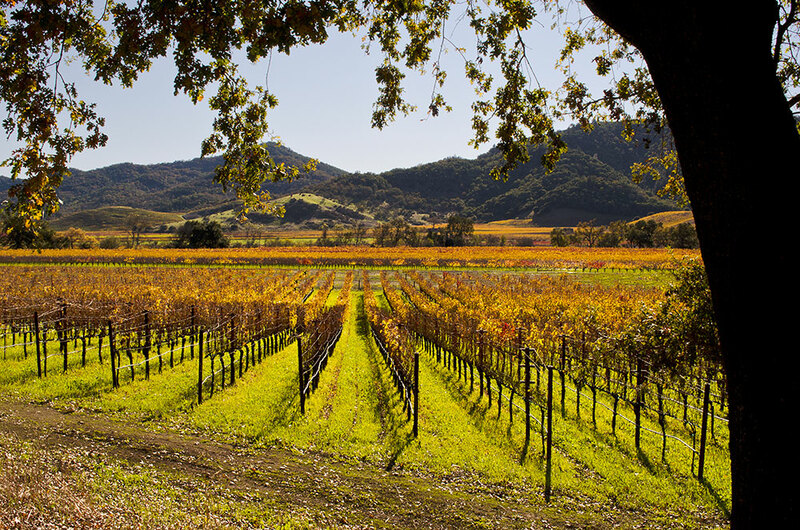 Just outside San Francisco, Napa Valley is world-renowned for its incredible grape growing. In fact, the region is home to hundreds of wineries – some of which produce the planet’s top tipples – as well as a plethora of Michelin-star restaurants across its nine blissfully remote towns; we love riverside Napa and the European-in-feel Calistoga. How to do it: Try taking a day trip from San Francisco where you’ll visit vineyards and see the giant redwood trees of the Muir Woods National Monument, or why not take the Napa Valley Wine Train? This historic locomotive exudes elegance and luxury, serving gourmet cuisine and of course, wine, as it chugs through this verdant region for 36 miles. For the ultimate culinary tour, sample fine wines and stretch your waistband with indulgent food on our Tastes of California itinerary. One city, two wheels: there are few better ways to spend a day in San Fran than with a bike ride across the Golden Gate Bridge. 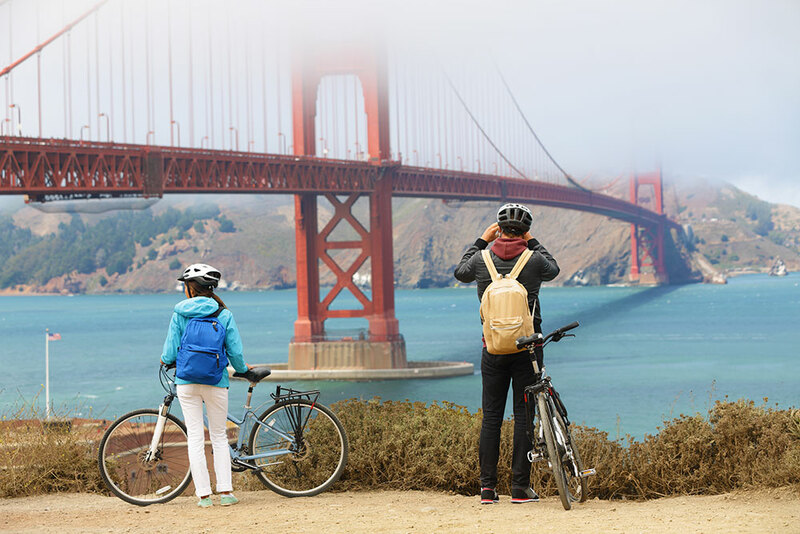 Even if you’re not an avid cyclist, traversing the 1.7-mile crimson Art Deco suspension bridge offers breathtaking views of the Pacific Ocean and the City by the Bay, even when shrouded in cloud. How to do it: Hire a bike from the many bike shops in Fisherman’s Wharf and go self-guided, that way you can take in the vistas and the splendour of this travel icon. Visit in the spring or autumn for the most favourable weather conditions and try out our California & Canyons itinerary for the best experience. 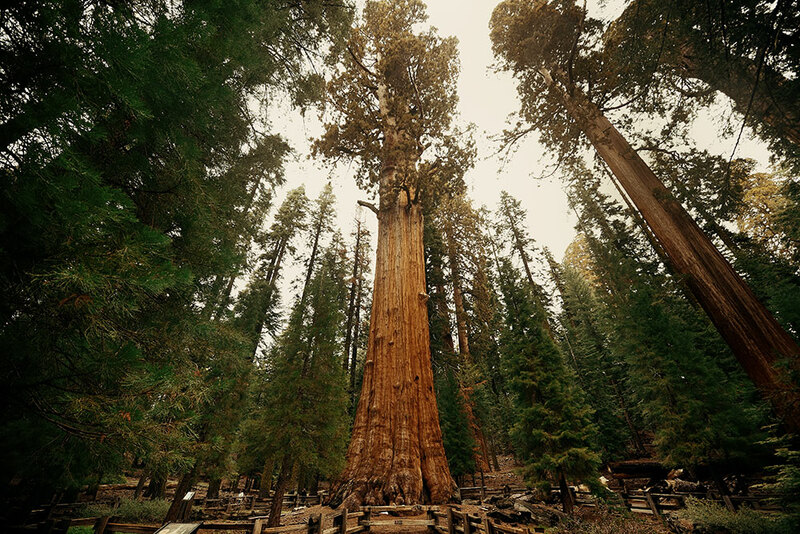 General Sherman is not only the biggest giant sequoia in the world; it’s the biggest tree full stop. Located in Sequoia National Park, it towers skywards for a whopping 83.8 metres – that’s almost as tall as Westminster Cathedral. It isn’t quite the tallest tree in the world, but its height combined with its circumference, not to mention the sheer amount of wood in its trunk, is what makes it the biggest. How to do it: Discover Sequoia National Park along with some of the west’s most famous national parks on our National Parks & Canyons tour. For more ideas on what to see and do in California, see our California holiday itineraries.